Our Products are formulated without phthalate, sulfate, fragrance, petroleum, artificial preservatives, artificial color, and gluten. It is cruelty free and vegan. 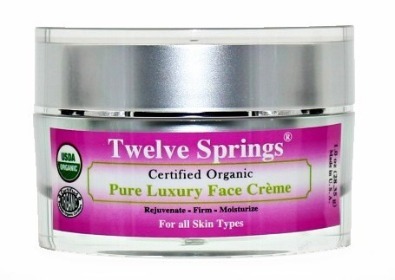 Pure Luxury Face Crème (Certified Organic) is exceptional and amazing organic face crème that works. It takes on every angle of dryness on the face, skin, and more. Pure Luxury Face Crème is for oily-skin, dry skin, and sensitive skin. 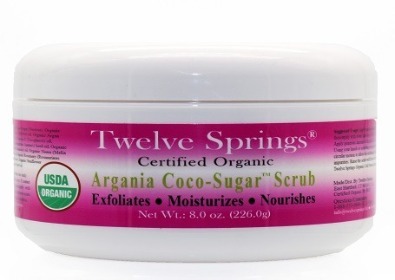 Argania Coco-Sugar Scrub is 100% Pure and Certified Organic. This organic moisturizing exfoliator is formulated with Certified Organic Virgin Coconut oil, Certified Organic Argan oil, and Organic Jojoba oil that nourishes, rejuvenates, hydrates, and refreshes the skin. 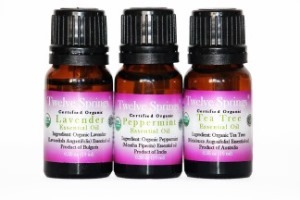 Our Essential & Aromatherapy Oils/Blends are Organic and Pure Therapeutic. 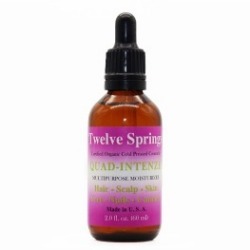 With Twelve Springs you can be assured that you are getting the best quality Essential & Aromatherapy oils. We understand that you may require certifications, that is why our Essential oils and ingredients are USDA Certified Organic. Our carcinogen free and organic products are specially formulated to rejuvenates, firms, moisturizes, hydrates, nourishes, tones, and replenishes the face and body. 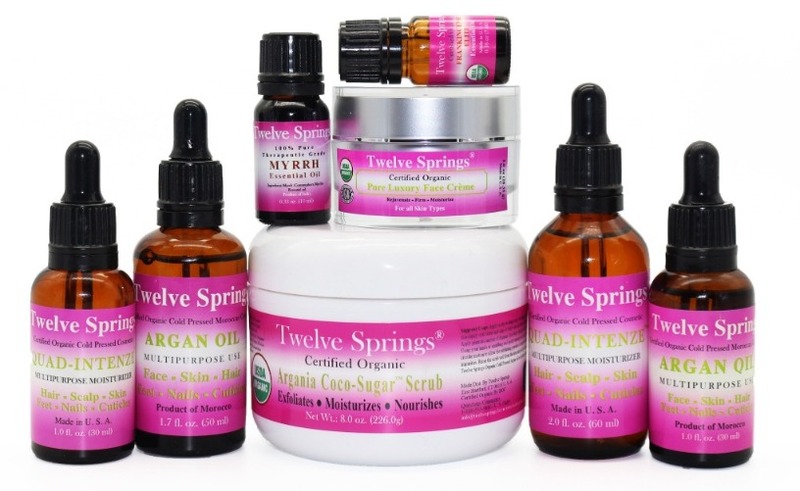 Our Carcinogen Free Organic and Natural Skin Care, Hair Care, Lips and Personal Care Products that are healthy and nourishing for your body, face, hair, feet, nails, cuticles, and lips that the entire family can enjoy. I used Clinique moisturizer for many many years and never thought I would change, but the instant I tried this face cream I was hooked. It absorbs instantly and is not greasy at all. It just leaves your face smooth and feeling great. I use this every morning and the Argan oil at night. Love, love, love these products. GREAT - I use this everyday as a moisturizer now - excellent product - - Thank you for this item. Love all of your all natural products! I cannot live without the sugar scrub! It leaves your skin soft and glowing all day. I use the Argan oil as a moisturizer after a shower. I add a couple drops of peppermint and lavender essential oils to half a dropper full of the oil and it smells heavenly and lasts all day. The lip glosses are amazing too! I have them in 3 colors now! Thank you for these wonderful products!! This Argan oil is amazing and I do love. I use it as an after shave and it soothes and soften my skin. It also reduces the razor burns and bumps. I will recommend this Argan oil as an after shave for all men. 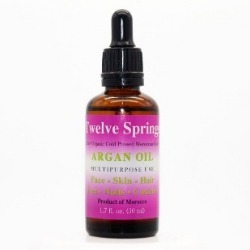 This Argan oil does work!